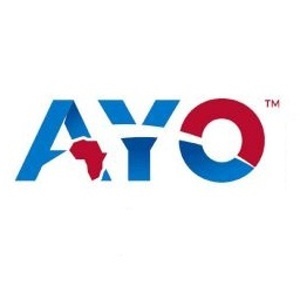 The former chief investment officer at AYO Technology Solutions testified before the judicial commission of inquiry on Monday that he valued the IT company at between R700 million and R1 billion - far below the R14.8bn determined by the state-run asset manager. This corresponded to about 5% of the PIC's valuation. The PIC invested R4.3bn in AYO in late 2017. The group's share price has since plunged from R45 a share to R15 a share. Asked by Assistant Commissioner Emmanuel Lediga about what would have been a suitable valuation, Nodwele said it would have been R700m or at most R1bn. Nodwele resigned from AYO in August 2018. His statements support evidence previously given by PIC executives involved in the appraisal of the business, who testified that the initial public offering (IPO) of the company linked to businessman Iqbal Survé was significantly overvalued. Survé, who testified before the commission for two days last week, has denied the company was overvalued. Nodwele on Monday recalled a meeting with the PIC on December 14, 2017, prior to AYO’s listing. Nodwele’s evidence also touched on the seemingly rushed process to go ahead with the AYO listing in late 2017. He said he had deduced that the process was hurried so as to avoid any possible interruption due to leadership changes that could have followed the ANC elective conference in December 2017. Survé last week denied he had an improper relationship with Matjila, or that the two had colluded in finalising deals. Nodwele's evidence also touched on a transfer of R400m from AYO to 3 Laws Capital, an asset manager, which has Survé as one of its directors. He said on March 2, 2018, he had received a call from the company CFO, Naahied Gamieldien, informing him that Abdullah had instructed her to transfer R400m into 3 Laws. The instruction for the transfer had come from Surve, and Gamieldien had phoned Nodwele to ask if such a transaction was allowed under the company's Memorandum of Incorporation. "Everything felt wrong about that process," he said, adding that the urgency for the release of these funds made him worry whether "this was a legitimate business transaction or the beginning of the siphoning of the cash from our bank accounts as critics had feared." He added that there were many theories about where the funds were directed. Gamieldien thought it was "to buy apartments at the Silo" - while Arthur Johanson, the chief investment officer at 3 Laws Capital, believed that it was "designated for the pre-listing of Sagarmatha", according to Nodwele's evidence. He said he and other colleagues thought is was to be used for the repayment of the Independent Media loan. Survé, meanwhile, last week said that the 3 Laws mandate had been terminated. "That money is back with AYO because of the media hype. I advised the chair, the CEO of 3 Laws that he must please repay that money back to AYO even though it’s AYO’s money - it was in the 3 Laws account. That’s been repaid along with the interest," he said.